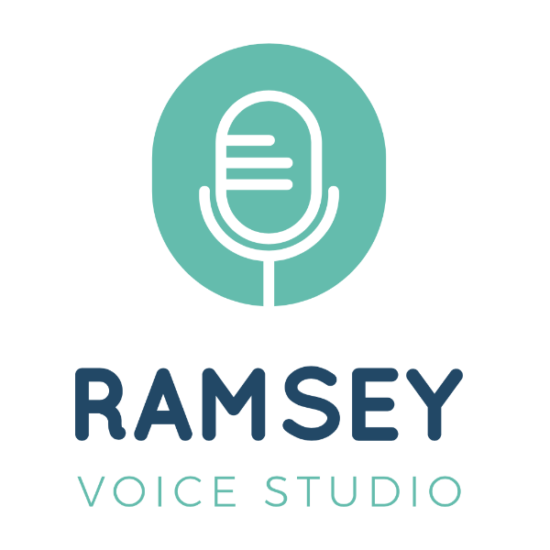 Over the last three months, I began changing my voice studio’s brand from Octave Higher East Voice Studio to Ramsey Voice Studio. In the process of rebranding, I learned a lot that applies to musicians who are building their unique music brand; whether it’s a business or a band. When I started taking voice lessons 10 years ago, I never thought I would become a voice teacher myself. I imagined that I would be on tour, selling millions of records and getting interviewed by Rolling Stone. With that dream in mind, I moved from San Francisco to Austin and began looking for a vocal coach. Luckily for me, I found Gene Raymond and the Octave Higher Voice Studio. I haven’t worried about finding great vocal instruction since. But with Gene’s encouragement, I decided to try my hand at teaching. To get me started Gene made me a very generous offer: “Use the name ‘Octave Higher’ if you think it will help you find some business,” he said. It seemed silly to use the name Octave Higher since that was Gene’s studio. But since I was located on the east side at the time, I decided to call my new vocal studio Octave Higher East. Five years and 422 students later, teaching people to sing is the biggest driving force in my life. Helping students hit higher notes and feel more confident in their voice is my biggest thrill. The only downside to building a business using the name Octave Higher East was that things could get confusing. Invigorated by my new passion, I published blogs, YouTube videos and even podcasts about singing; all under the name Octave Higher East. But all that great content was under someone else’s name. I have no doubt that some folks were confused even though we tried to make it clear that we were separate businesses. As a developing musician, your name is your brand. Unless you’re affiliated with a big band already, you’re performing as yourself. That means that whatever you put out there has your name on it. So be true to your voice and your songs. Even if you’re doing covers, they should be in your voice and your unique style. For my studio, Gene and I finally decided it was time to retire the Octave Higher East brand and continue building a studio under my own name. Transitioning from Octave Higher East Voice Studio to Ramsey Voice Studio is one of the hardest and most exciting things I’ve done in business so far. When we first started making the change, I was more than a little nervous. “How will people find my studio now?” I thought to myself. With a different name, a new logo and a relatively new location, I wondered how all the good juju I’d built up over the years would transfer to the new brand. And with a ton of help, we made it happen. It meant working with top-notch web designer and SEO specialist Matt Jensen (here’s a link for an 85% discount off his amazing SEO course). It meant getting brand design help from some of Austin’s best designers, Anthony and Natalie Armendariz from Funsize. As you continue in your music career, it pays to recruit the help of the most experienced people you can. Look for the people who are the best at what they do and ask for their help. If you’re a singer/songwriter, you should be focusing on writing the best songs you possibly can, not creating the perfect album cover or trying to teach yourself to sing. That kind of detour can seriously distract you from your main job as an artist: writing songs and improving your voice. So focus on what you want to be good at. For my part, rebranding my business meant doing the grunt work of manually changing hundreds of links and listings that have taken years to build. I didn’t try to take on all the aspects of recoding a website, designing a logo or taking photographs. Now with the biggest changes accomplished, I feel a tremendous sense of relief. In all the commotion, I somehow forgot the biggest reason I’m self-employed is to have pride and purpose in everything I do. I had underestimated the energy you find when you’re doing something that you’re fully invested in. As a musician, you have an amazing amount of energy to focus on developing your craft. Do the best work you can and you will find the energy to make a career. I’m not saying “Quit your day job” if you’re not ready. But I will say that if you keep focused on the things that really matter (improving your voice and songs), your days of waiting tables are numbered. The way I experience this is now that everything I do is under the flag of Ramsey Voice Studio, I feel energized to do some amazing things. I hope you’ll check out the beautifully redesigned website. Now it’s easier than ever to book a lesson online. I’d also like to remind you that if you refer a friend and they become a regular student, you get a free lesson. And if you feel that you’ve received excellent service from me, feel free to leave a review on Google or Yelp. Thank you for all your support in creating the best voice studio in town and I can’t wait to see you at our next lesson.